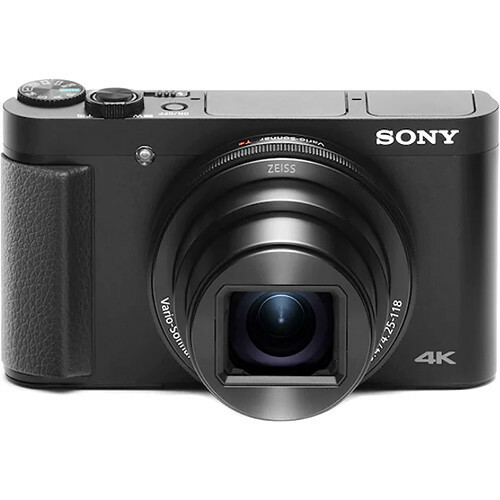 Sony officially announced the new Sony Cyber-shot DSC-HX99 compact camera – The World’s Smallest Travel High Zoom Camera. The US price is $448 and it will be released in early November. 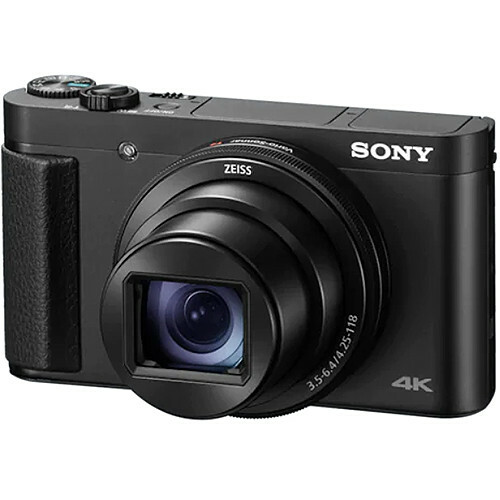 Now the new Sony Cyber-shot DSC-HX99 is available for pre-order at B&H, Adorama. Order now if you are interested. 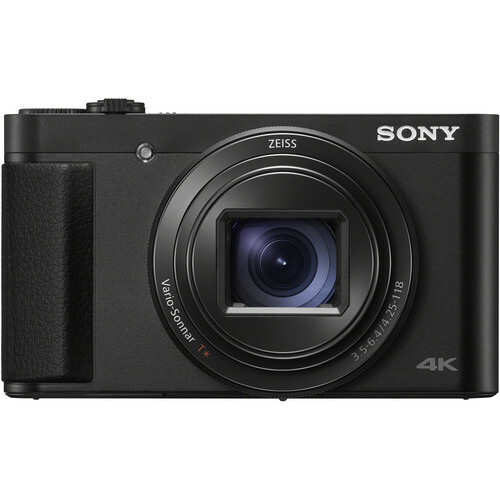 SAN DIEGO, Oct. 15, 2018 /PRNewswire/ — Sony Electronics Inc. – a worldwide leader in digital imaging and the world’s largest image sensor manufacturer – has today announced the Cyber-shot® HX99 (model DSC-HX99) camera, an exciting new travel zoom that packs an extreme zoom range of 24-720mmi into the world’s smallestiv camera body of its kind. The new HX99 model is the ultimate companion to any travel enthusiast or weekend photographer with extensive functionality that includes the ZEISS® Vario-Sonnar T* 24-720mmi High Magnification Zoom lens, 4Kii movie shooting, a powerful BIONZ X image processing engine with a front-end LSI, extremely fast AF, Eye AF, 10 fpsv shooting and more. In addition to the extensive 24-720mmi zoom range, the versatile new ZEISS® Vario- Sonnar T* lens features Optical SteadyShot™ image stabilization, which effectively minimizes the camera shake and blur that often occurs during handheld and telephoto shooting. The new HX99 is also equipped with a Zoom Assist function that allows the user to zoom more accurately while shooting far away subjects by offering a quick, temporary zoom-out display to showcase a wider area. Thanks to its powerful BIONZ X processing engine, the new HX99 camera can capture stunning 4Kii video with full pixel readout and no pixel binning, with minimal “moire” and “jaggies.” The new model also is capable of shooting high-frame rate HDvi video at up to 120 fpsvii to produce impressive slow-motion sequences during editing. During still photography, the camera can acquire focus in as little as 0.09 secondsviii, and it can shoot continuously at up to 10 fps for up to 155 shotsv. 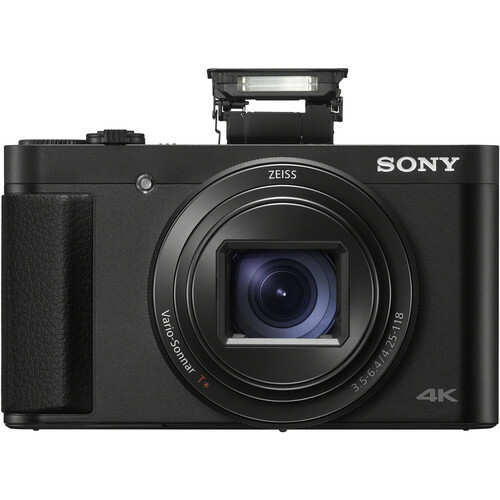 The HX99 also is equipped with Eye AF technology, a feature made popular by Sony’s acclaimed lineup of αTMinterchangeable lens cameras that locks focus onto a subject’s eye for compelling portrait and fast-action photography. The camera also is capable of shooting images in RAW format and has a maximum ISO of 6400ix. The versatile HX99 travel camera includes Touch Focus and Touch Shutter functionality for added convenience, as well as a Touch Pad function for smooth focus point shifting while using the retractable OLED Tru-FinderTM. The camera also has a Control Ring that can be customized with functions such as manual focus or step zooming, as well as a customizable ‘My Menu’ option for instant recall of up to 30 different settings. The new camera has a 180-degree tiltable LCD screen that allows for easy framing of self-portraits and group shots, a pop up electronic viewfinder and an upgraded grip that offers a firm hold and greater stability during shooting. It also offers location data acquisitionx via Bluetooth®, which can collect and record location data from a connected mobile device, and proxy recording that allows instant transfers to smartphones or websites for quick sharing. The new Cyber-shot HX99 Travel Zoom camera will ship in early November for $449.99 USD and $599.99 CAD. It will be sold at a variety of authorized dealers throughout North America.